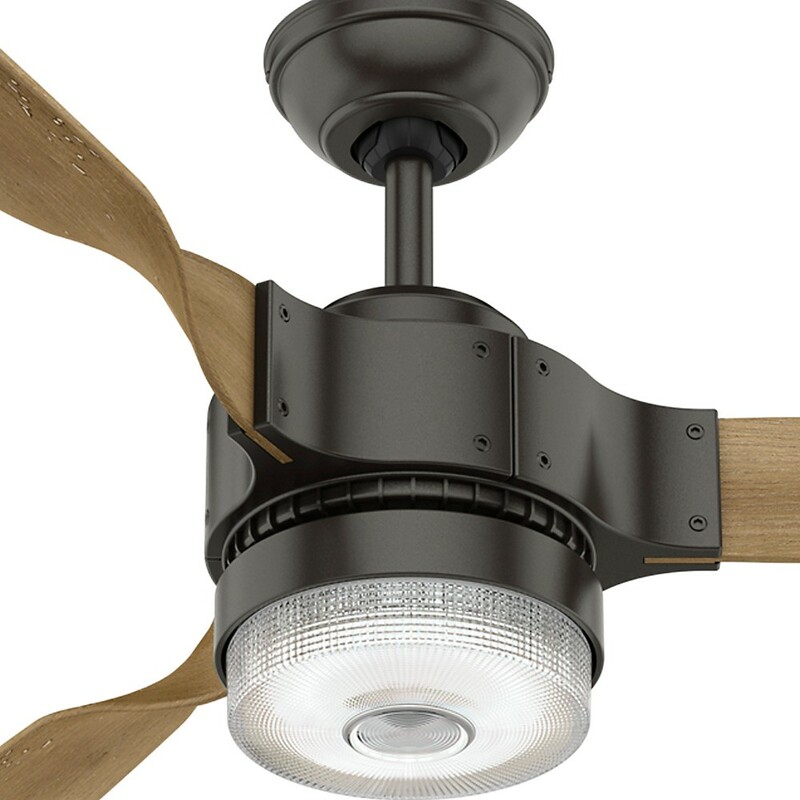 This modern and unique fan has a twisting curvature to the blades that give it an industrial and propeller like look. 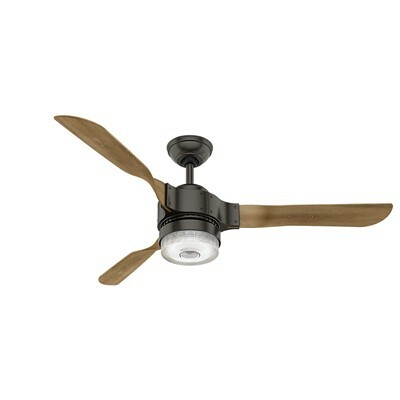 With its Wi-Fi enabled support of Apple HomeKit technology, you can control your fan from your iPhone. The integrated LED light kit with clear holophane glass includes one 17W LED bulb for lower energy consumption and dimmable control. 2 position mounting system allows for standard or angled mounting with the included 5" and 3" downrods.